Funeral services for Lois Jeannette (MacDowell) Croaning, will be held 10:00 AM Monday, September 10th, 2018 at Spear-Mulqueeny Funeral Home 667 Mentor Avenue in Painesville. Family and friends will be received Sunday, September 9, 2018, 2 to 4 PM and 6 to 8 PM. Lois was born September 12, 1928 in Cleveland, to Kenneth and Lilley (Robertson) MacDowell. She passed away at Heartland of Willoughby September 3, 2018. She was a sixty-year member of Nottingham Baptist Church. Her great joys in life were her family, especially her grandchildren and great grandchildren, her church and her Scottish heritage. 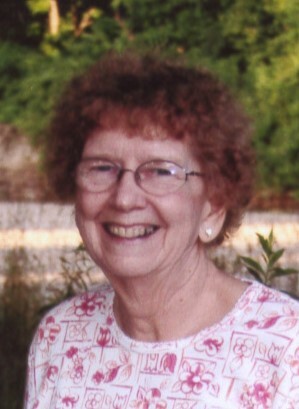 Lois is survived by her daughter; Janet (Thomas) Gozelinchick of Painesville, Pamela (Glenn) Roesch of Mentor; grandchildren, Jennifer (Patrick) Jesberger, Beverly Pettrey, Frank (Lisa) Dengel, Amy (Manuel) Britnell, Thomas (Amy) Gozelinchick Jr., Benjamin (Kelley) Roesch, Sarah (Benjamin) Hummel, Nathanael (R. J. Wisenbaker) Roesch, Matthew (Annagiulia Bobbio) Roesch; nineteen great grandchildren; sister-in-laws, Debbie MacDowell and Joanne Cardinali; niece, Peggy Roach ;nephews, Andrew (Pam) MacDowell and Matthew (Bridget) MacDowell. She was preceded in death by her parents, former husband, Ralph Edward Croaning and brother, Kenneth Gordon McDowell.